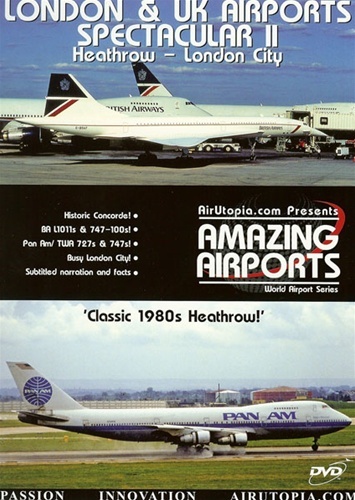 AirUtopia provides a nostalgic look back to 1980s Heathrow and Gatwick airports with historic footage that includes the iconic Concorde along side the likes of Pan Am 747s, TWA 727-100s and Ryanair BAC 111s! Then it's back to present day with a close look at modern day London City Airport for some great dockland aviation action! Last of the British Airways L1011s & 747-100s! Pan Am/ TWA 727s & 747s!